Ever feel like you have lost your marbles? Between parenting, work, and the stress of life, sometimes it feels like we cannot remember even the simplest things. 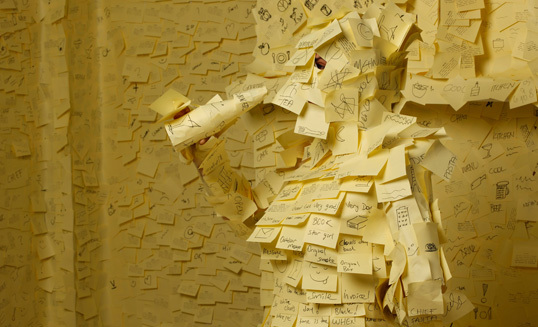 So many times I have made a “to-do” list and have then promptly proceeded to misplace the list. Now I keep all my lists on my phone. Well, at least until I lose my phone. Women who eat more blueberries and strawberries show a significant delay in mental decline compared to women who do not eat berries regularly, according to a study out of Harvard University. Other studies have shown that people who consume higher amounts of vegetables (in particular, leafy greens) have less age-related decline in memory. Veggies that are high in nitrates (such as beets, celery, and cabbage) are important too, as these foods can help to increase blood flow to the brain. We often hear that people can keep their minds sharp by reading and doing crossword puzzles. Research shows that learning a new skill can improve brain function. Choose anything from photography to web design to a new language, or whatever floats your boat. You can always learn something new! Mindfulness is the act of paying attention on purpose. It is a skill that can be learned and practiced. It is about being present in the moment, focusing without wandering or judgment. (Many people who practice meditation are also by default adept at the art of mindfulness.) People who learned mindfulness have shows improvement on standardized tests and a higher working memory capacity. People with higher than average abdominal fat in their middle age are significantly more likely to have memory loss and dementia later in their life. One study showed that when older, overweight women lost weight by dieting, their memory improved. Since previous research had shown that obese people can have an impaired memory of events, researchers wanted to know if this could be reversed when they lost weight. Lo and behold, it can! Blood flow and blood sugar levels are both important for maintaining a strong memory. This is not just a matter for those with diabetes, either. Anyone who has higher than average blood sugar levels is more likely to have memory problems. Anemia may also increase the risk of dementia, because a reduction in oxygen getting to the brain from decreased blood flow can reduce one's memory and cognitive abilities. So consider talking to your doctor about whether or not you should have routine blood work done. Exercise boosts the ability to remember. Research has shown that both children and older adults have memory improvement when they exercise. In older adults with mild cognitive impairment, even a short burst of exercise can improve memory. And in children, exercise can improve learning and memory, especially when a particular task has proven challenging. If that is the case, just imagine what a regular exercise program can do for you. Memory and cognitive abilities are not as sharp in people with depression, according to researchers at Brigham Young University. And the decline occurs in proportion to the severity of the depression, so it might be a good idea to get help early. According to the study, the more depressed someone feels, the more difficult it could be to distinguish between past experiences. The amount of rest you get can play a big role in what you remember. (Not great news for us insomniacs, now is it?) Information that matters to us is rehearsed during sleep so that it can be remembered later. Get your zzz's, people. At least if you want to remember today, tomorrow. This one may not go over well with the social media addicted. However, the more time you spend browsing online, the more memories you could be losing. The theory is that when the brain is exposed to lots of social media browsing, it may become overloaded with information, and therefore unable to process short term memories. Our brains can only process a certain number of items at a time, and when we overload it, our ability to maintain information becomes diluted.